This card was the favorite of the three projects at stamp club last week. I featured cards made with the Honeycomb embossing folder and this is a fun way for sure. 1. Die cut two labels using Label Collection framelits. Try other die cut shapes as well! 2. Stamp En Francais on smaller label using Crumb Cake ink. 3. Stamp flower stem image over script background using Early Espresso ink. 4. 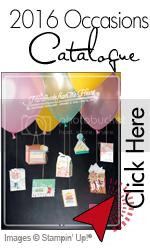 Run label through Big Shot in Honeycomb embossing folder. 5. Lightly sponge label from the edges to middle using Crumb Cake ink. Very lightly, sponge a bit of Early Espresso ink onto edges. NOTE: When sponging with inks, LESS IS MORE! 6. Stamp flowers using Elegant Eggplant on scrap Very Vanilla cardstock and cut out. Apply to card using dimensionals. We are heading into the last month of Sale-A-Bration. This is the last month to take advantage of the amazing sign-up promotion during Sale-A-Bration. Get 25% more Starter Kit products for FREE! Starter kits are a doable $125, and you can completely customize them to suit your individual needs and taste. You get to choose what products you want to start with and what type of business supplies you want. Then it’s shipped FREE right to your door. 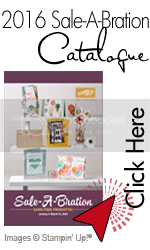 It’s a perfect time to join th Stampin’Up! family!! Click HERE to join!